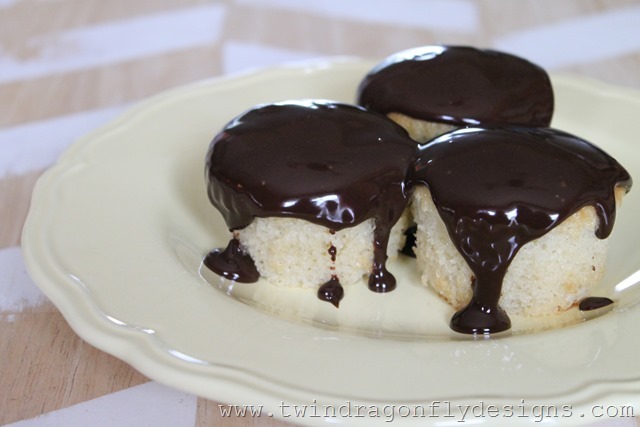 Man, these Boston Cream Cupcakes were so good! I taught a Cupcake Creations class last week and these were one of the cupcakes that students learned to make. 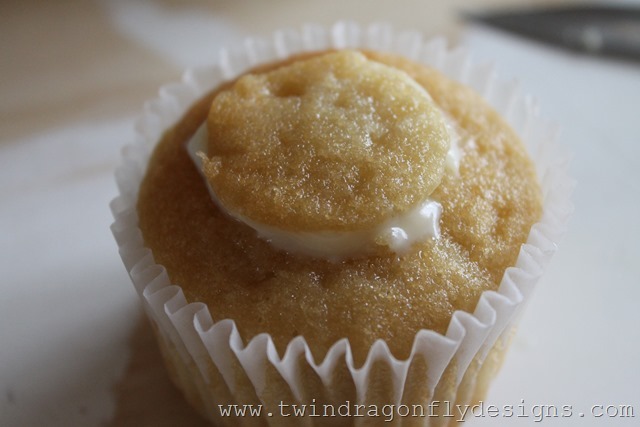 You can find our cupcake inspiration on my Cupcake Creations board. 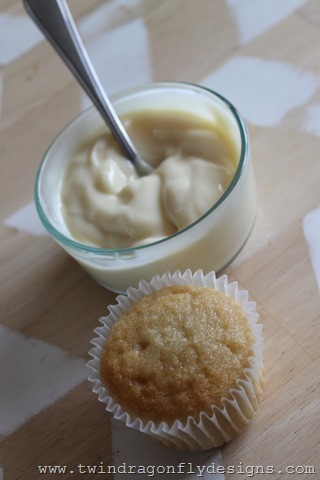 Begin by making a batch of vanilla pudding. Instant vanilla pudding works best. Omit 2 Tbsp of the milk to make the pudding a bit thicker. 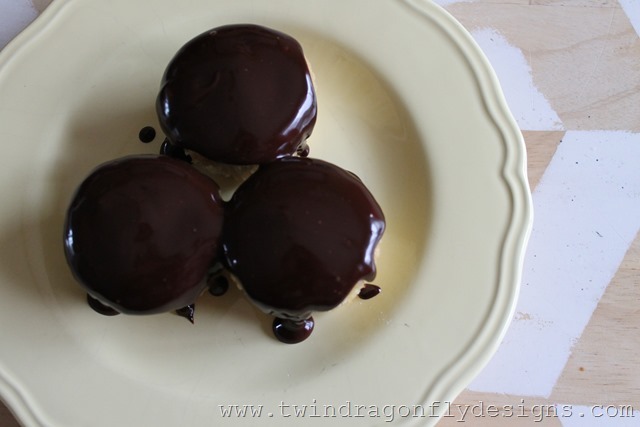 We used pudding from pre-made pudding cups for class and it worked good too. 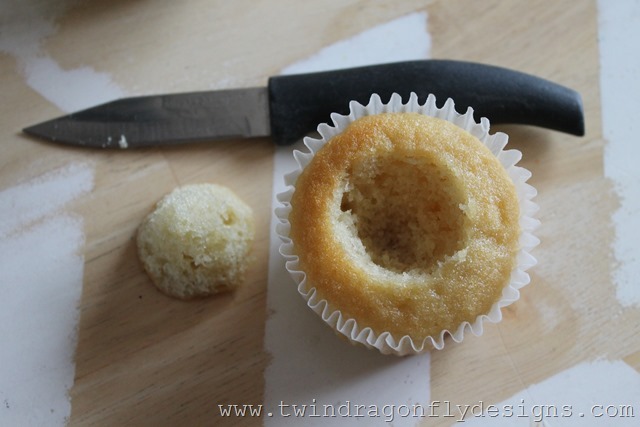 There are a couple of different ways to fill a cupcake. Cutting the top off and hollowing out the center is probably the easiest. 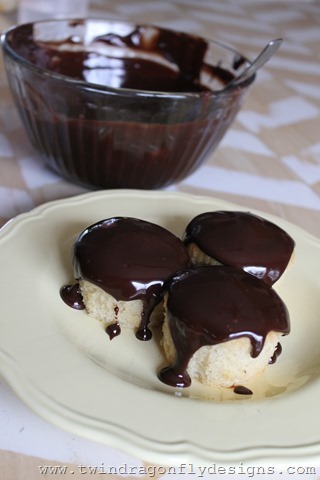 Fill each cupcake with about 1 Tbsp of pudding. 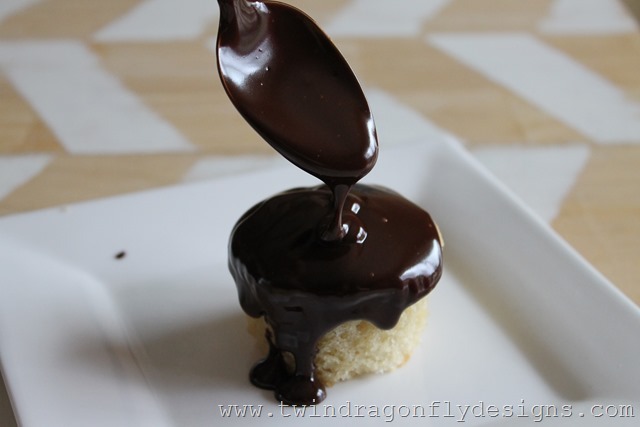 Next we made a traditional chocolate ganache. 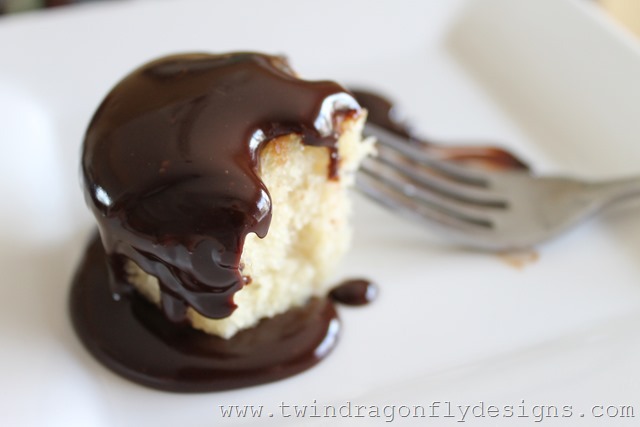 Drizzle each cupcake with about 2 Tbsp of chocolate ganache. And truly, so easy to make!